Like it or not, it is cold outside. We can’t change the weather, but what we can do is change our outlook on the weather we are given. Twelve Kinds of Ice is a lovely little book that just might help you warm up to the cold weather. The book provides a peek inside the author’s memories of her childhood winters in Maine by describing ice at different points of the season. The first ice is so thin and fragile that it breaks upon the first touch. As the days and nights continue to grow colder, however, the ice freezes more deeply eventually creating “perfect ice,” flawless and smooth and just right for skating. Skating parties, ice shows and hockey games are all enjoyed on different kinds of ice throughout the winter until, eventually, the warmer air brings with it “the last ice” or “punk ice” leaving only “dream ice” until the next winter. Obed does a wonderful job pulling the reader into her childhood world in twenty very short vignettes. Even without the charming line drawings, it would be easy to imagine each kind of ice, but the illustrations add a charming extra layer to Obed’s words. This book would make for such a sweet addition to any family’s winter traditions. It would be a great book to share together by the fire with some gingerbread and hot cocoa, perhaps after an afternoon of skating or sledding. Or grab the audio and listen while you decorate or bake for the holidays. As we kick off the holiday season, it feels like a good time for stories about families. 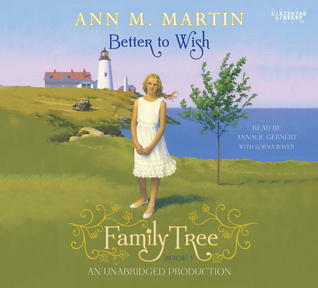 Ann M. Martin’s new Family Tree series fits that bill nicely. Ultimately, this will be a four book series spanning four generations of one family. Book one, Better to Wish, opens the series with the story of Abigail (Abby) Nichols in Depression Era Maine. Each subsequent book will follow the lives of the oldest daughter of the main character from the previous book. When we are first introduced to young Abby she is only eight years old and her family is struggling to make ends meet. Better to Wish follows the Nichols family as Abby’s family and her father’s business grow over the course of 14 years. Abby’s father (Pop) is not an easy man to live with. He is hot-tempered, overbearing, and intolerant. In contrast, however, Abby’s mother is extremely sensitive and caring, but she also struggles with bouts of depression. Over the years Abby experiences the highs and lows of growing up including the simple wonder of going to the carnival as a child, building and losing friendships, the arrival of new siblings, courtship, and the struggle for independence. While the story alone is quite engaging, listening to the audio is a truly wonderful experience. Narrator Annalie Gernert does a fabulous job delineating characters. Not only does she clearly differentiate the voices of each character, but she also manages to create slight variations in the intonations of the younger characters to indicate that they are growing up. Gernert’s well-paced narration is rich with emotion and brings the story to life. Better to Wish is both heartwarming and heartbreaking and would make for a wonderful book discussion for a parent and child book club for children in grades four and up, or just for families to share together. If you are taking a road trip this holiday season, consider bringing the audio of this book along to keep your family company on your way to Grandma’s house. Summer always seems to be the perfect time to read a book set in the Old West — maybe because August is usually so hot and dry, so the descriptions of the sagebrush and cactus and dust feel that much more topical. Caroline Lawrence, best known for her Roman Mysteries series (which I loved), is in the midst of a new series–half mystery, half western, about P.K. Pinkerton, a 12-year-old half-Native American boy who is trying to make is way as a detective in 1860s Nevada Territory. Like many a main character in recently-published middle-grade books, P.K. has something like Asperger’s Syndrome, which he refers to as his Thorn — it may make normal social interaction difficult for him, but it certainly helps to make him a one of the more realistically skilled child detectives in literature. (I hardly need mention that P.K.’s outlook and way of describing his world are both extremely amusing and very endearing). 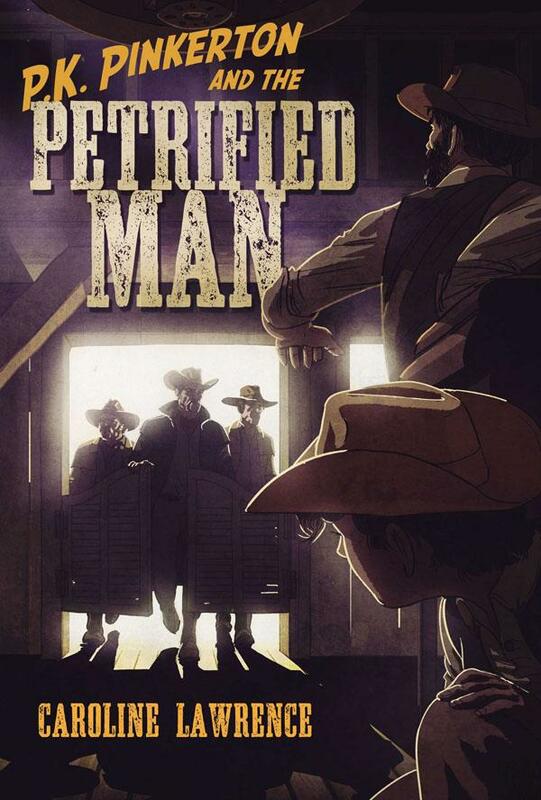 The case of the Petrified Man is P.K.’s second outing, and I found it even more entertaining than the first. Lawrence’s entertaining style draws a reader in, and the non-stop plot keeps one turning pages until the very end. 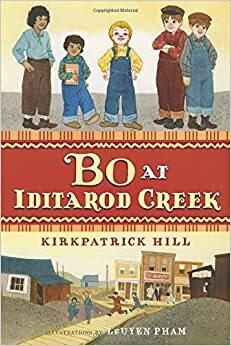 I have heard tell that a third book in the Western Mysteries series will be coming out next spring, and I’m eagerly awaiting word of what P.K. will be up to next time. Check out Lawrence’s website for more information on either the Western Mysteries or the Roman Mysteries. People who know me might be surprised to learn that I like to have my mind changed, especially when it comes to books. I have to admit though, that when it came to Okay for Now, changing my mind was a pretty tall order. Generally, if a book does not strike a chord with me right away—within the first 100 pages—I’ll put it down for a while or look for it in a recorded format. I had done just that, put Okay for Now away for a year, maybe longer, when I agreed to help a friend do some Rebecca Caudill Young readers Book Award booktalks at a local school in the fall. Okay for Now was on my half of the list to talk about. I was not enthused at the prospects of picking it up again. However, another friend suggested that I give it one more try, maybe on audio this time. I’m glad I agreed. I learned a lot from the main character, Doug Swietek, especially not to make judgments without facts to back them up. Doug, a “skinny, thug–in-training,” has a lot of problems making assumptions is one of his smaller ones. When thinking about Doug’s world, the phrase “controlled chaos” comes to mind—with the “controlled” part being very tenuous. The Swieteks are a dysfunctional family. Doug, teetering on the edge of “hoodlumdom,” is seething with rage about being moved from his familiar friends and neighborhood on Long Island to a small, upstate New York town where his father has a new job. They live on the brink of financial ruin in a rented house the Doug refers to as “the dump.” His father is a loud-mouthed bully, his mother tries—unsuccessfully–to keep everyone happy, his older brothers, one of whom chose to fight in Vietnam rather than go to jail, are following in their father’s footsteps and making Doug’s life a misery. He’s a bright boy who has trouble with authority which leads to trouble in school. Little does Doug realize that a girl named Lil, an Arctic Tern and a librarian, among others, are about to turn his world upside down. Art and beauty just might save Doug’s life. 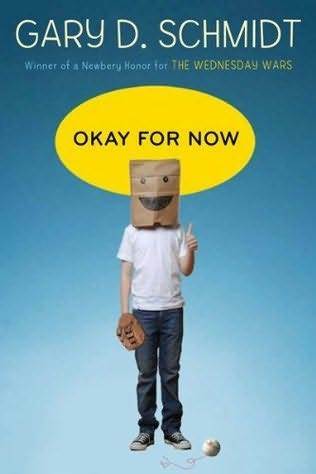 Okay for Now is not an easy book to read—but, it is worthwhile. One lesson I learned along the way is that you don’t necessarily need to admire someone to learn from them. Like everyone else in his life, I just needed to give Doug a chance to prove himself. It took a bit of patience. Each of us can be stubborn. But, in the end, both Doug and I are more than Okay for Now. 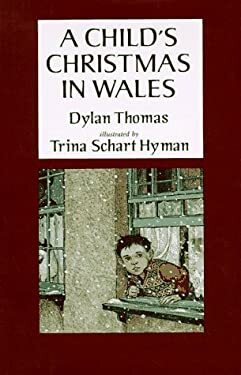 One book that I always turn to in December is Trina Schart Hyman’s presentation of Dylan Thomas’s wonderful prose poem A Child’s Christmas in Wales. Thomas’s almost achingly evocative descriptions of the Christmas of a small boy, sometime in the nebulous past, are perfectly matched by Hyman’s glorious illustrations, which show the boy’s eccentric, yet all-too-real relatives and friends. No other story and no other illustrations have ever so perfectly captured the hilarity of holiday relatives, the conversations of little boys, and the feeling of world-wide silence after a snowfall. Undeniably the most perfect Christmas book ever. It’s the season for spooky books, and for kids who want a scare, ONLY a spooky book will do. Some children, though, want their creepy books to be creepy with a difference–not just cheap scares and cliffhangers, but something atmospheric that draws a reader fully into the world of the book. 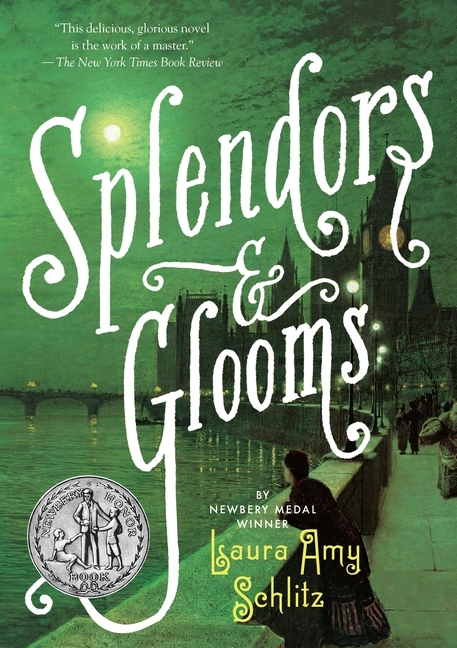 Splendors and Glooms by Laura Amy Schlitz is perfect for those readers. Schlitz takes us into the Gothic, foggy 150-years-ago world of Lizzie Rose and Parsifal, two children who work for Grisini, a not-at-all-nice puppeteer. When Grisini is hired to perform for the birthday party of rich Clara, a girl who seems to have everything (except siblings, all of whom have died), Lizzie Rose and Parsifal think their fortunes are looking up. Unfortunately, first Clara, and then Grisini disappear, and their lives take a turn for the desperate. This book is beautifully, spookily written, with compelling characters and perfectly described settings. It won’t be for children who hate historical fiction, or anyone who wants a quick read, but for kids who want a long spooky night where they can enter another world, this is an excellent choice.